Gardening NewsHome » News & Posts » News & Posts » New Guniea Impatien Harmony® Radiance Pink – New for 2014! New Guniea Impatiens are upright summer bedding plants. They are compact plants with masses of large bright flowers. The Harmony® range flowers early in the season and has resistance to Downy Mildew. Radiance Pink is a beautiful new colour for 2014! New Guniea Impatiens are ideal in garden beds and borders and patio containers. They also make a nice centrepiece in mixed hanging baskets. New Guniea Impatiens prefer a position in full sun. Feed them weekly whilst they are in flower with a good quality feed. Don’t allow the plants to completely dry out but also be careful of overwatering as they can tolerate dry conditions. Remove faded flowers to keep your displays looking their best. 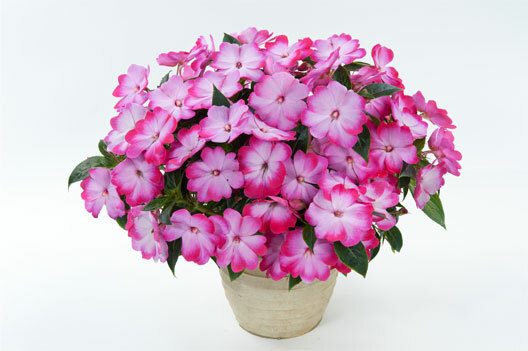 Home » News & Posts » News & Posts » New Guniea Impatien Harmony® Radiance Pink – New for 2014!